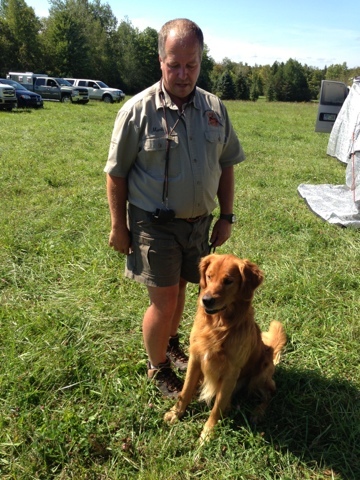 Ranger and Mark earned an American WCX this past weekend at the Cuyahoga Valley Golden Retriever Club's test. Congrats. We are not doing any WCX tests this year. Working on that "honor" problem with Kodi. Doing Rally and obedience.